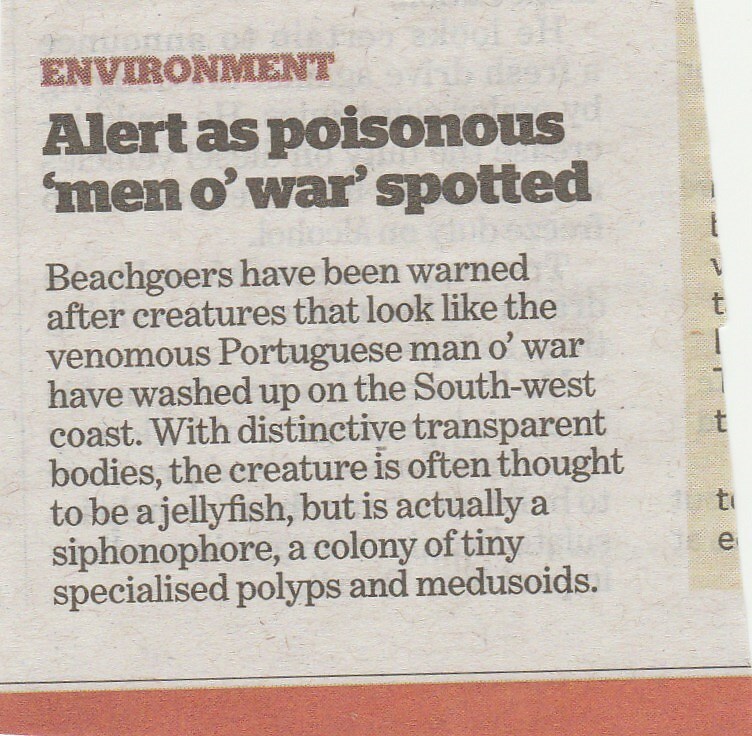 These are plainly Portuguese men o’ war, which as we have been told on Monday are not jellyfish. Has it become cool to be ignorant? Even if the photographer has not captioned the picture correctly, how hard is it to check what a man o’ war looks like? Incidentally their stings are painful but very rarely lethal, and only to those with allergy problems. PS A very useful comment has been posted on this. Shouldn’t it technically be “venomous” here instead of “poisonous”? Great informative website and blog, keep it up! You are quite right, thanks for pointing it out. To explain: if an animal bites or stings you and you die or become ill, it is venomous. If you bite or eat the animal and die or become ill, it is poisonous. Venom is specifically injected into the body. Looking at the link you sent, I think the use of ‘fatal’ is incorrect there. An animal can’t be ‘fatal’ but an activity or an event can. 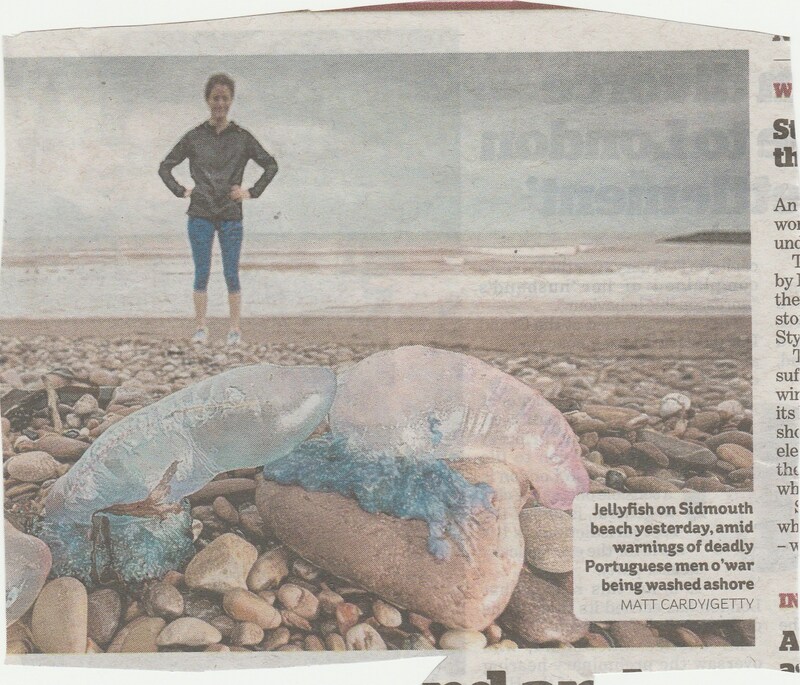 Thus it is not the Portuguese man o’war which is (potentially) fatal, but its sting.